She was poured in a special blend of Eco15 silicone and is really soft and cuddly. 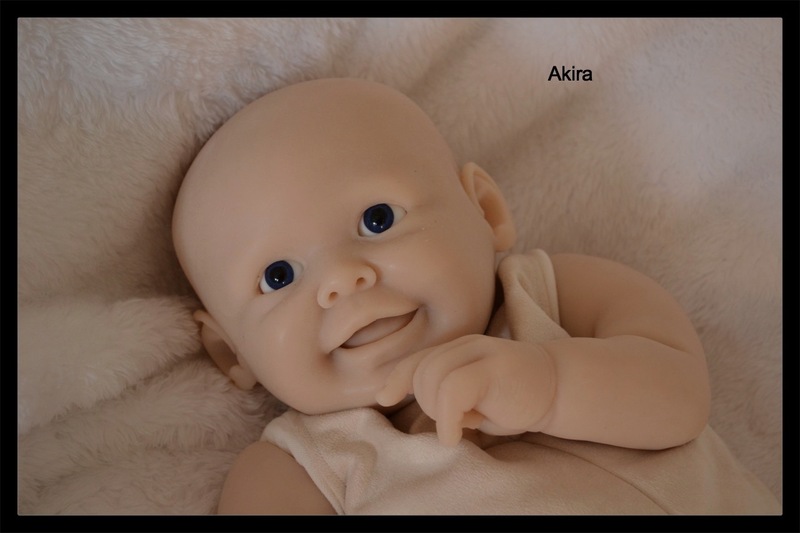 Akira has a half tummy plate (not shown) which is female, but without it she could be a boy. 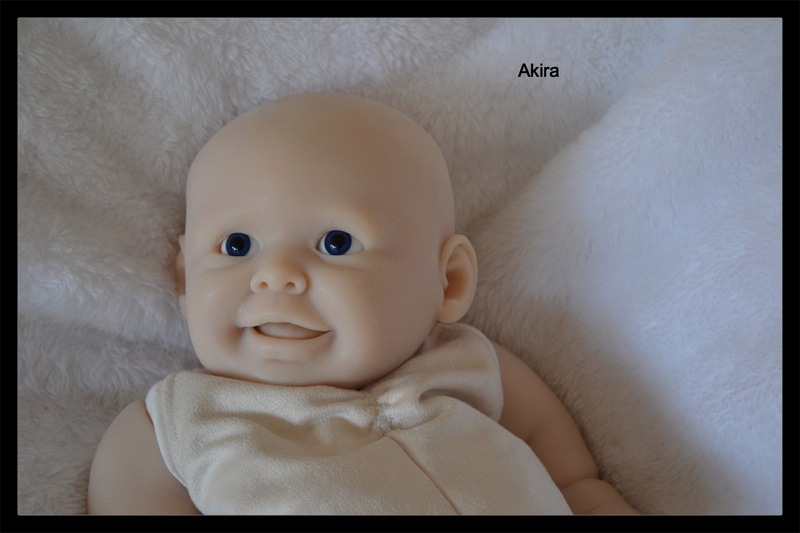 She is a good 3 month size at 23″ long and her mouth is sculpted open for a full size dummy. I don’t have any finished pics but I’m sure you can imagine what a beautiful happy baby this one could be!